The Kalamazoo Symphony Orchestra is currently in the midst of a search for its next Music Director. Andrew Grams is the third of five candidates to visit the city and work with the orchestra. KALAMAZOO, MI, February 09, 2018 /24-7PressRelease/ — The Kalamazoo Symphony Orchestra with guest conductor and Music Director Candidate, Andrew Grams, present an intimate program of masterworks from the First Viennese School (Mozart, Haydn, and Beethoven). The orchestra opens with Mozart’s Magic Flute Overture. Pablo Ferrandez-Castro, an international rising star, performs Haydn’s Cello Concerto No. 1 in C Major. Maestro Grams concludes the program with Beethoven’s exhilarating Symphony No. 7. The Kalamazoo Symphony Orchestra is currently in the midst of a search for its next Music Director, to follow the long tenure of Maestro Raymond Harvey. Andrew Grams is the third of five candidates to visit the city and work with the orchestra. Mr. Grams will spend a full week in Kalamazoo meeting with various groups from the KSO, rehearsing with the orchestra and talking with musicians before the culminating event of the concert on Saturday. With a unique combination of intensity, enthusiasm and technical clarity, American conductor Andrew Grams has steadily built a reputation for his dynamic concerts and long-term orchestra building. Grams has led orchestras throughout the United States including The Philadelphia Orchestra, Chicago Symphony, Detroit Symphony, National Symphony Orchestra, St. Louis Symphony, Cincinnati Symphony, Baltimore Symphony Orchestra, The Dallas Symphony, and the Houston Symphony. He served as Assistant Conductor of The Cleveland Orchestra from 2004-2007 where he worked under the guidance of Franz Welser-Most, and has since returned for several engagements. Maestro Grams has worked extensively with orchestras abroad, including the Toronto Symphony Orchestra, Montreal Symphony Orchestra, Vancouver Symphony Orchestra, National Arts Centre Orchestra Ottawa, Orchestre National de France, Orchestre National de Lyon, Orchester der Beethovenhalle Bonn, BBC Symphony Orchestra London, BBC Scottish Symphony Orchestra, Royal Scottish National Orchestra, City of Birmingham Symphony Orchestra, BBC National Orchestra of Wales, Sydney Symphony, Melbourne and Adelaide Symphony Orchestras, New Zealand Symphony Orchestra, Orchestra dell’Accademia di Santa Cecillia, Netherlands Radio Philharmonic Orchestra, Residentie Orchestra, Hamburg Symphony Orchestra, Oslo Philharmonic, Bergen Philharmonic Orchestra, and the Malmo Symphony Orchestra. 2016-2017 marks Grams’ fourth season as Music Director of the Elgin Symphony Orchestra. He returns to the Dallas, Tucson, and Fort Worth Symphonies, as well as the Sacramento and Louisiana Philharmonics. 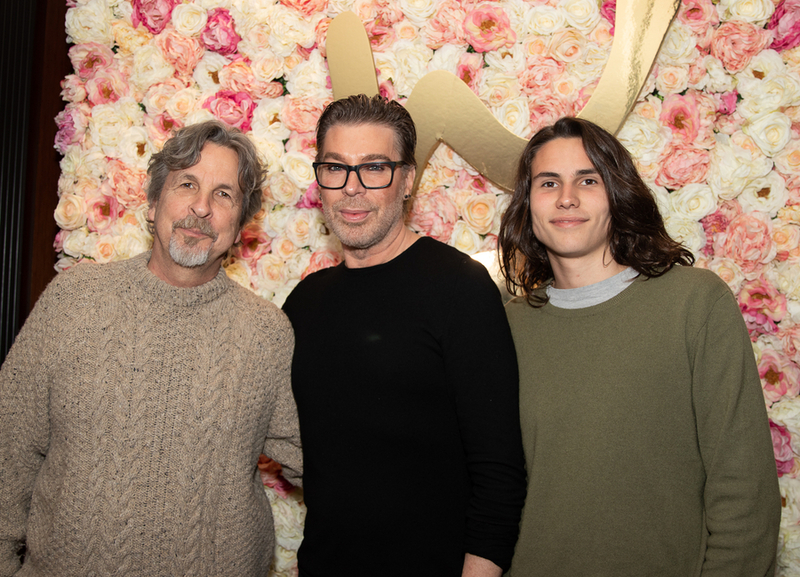 He will also lead a new production of The Nutcracker with the Norwegian National Ballet in Oslo. Born in Severn, Maryland, Grams began studying the violin at the age of eight. In 1999 he received a Bachelor of Music in Violin Performance from The Juilliard School, and in 2003, he received a conducting degree from the Curtis Institute of Music where he studied with Otto-Werner Mueller. An accomplished violinist, Grams was a member of the New York City Ballet Orchestra from 1998-2004, serving as acting associate principal second violin in 2002 and 2004. Additionally, he has performed with ensembles including the Orpheus Chamber Orchestra, Orchestra of St. Luke’s, Brooklyn Philharmonic, and the New Jersey Symphony. Awarded the coveted ICMA 2016 “Young Artist of the Year”, and prizewinner at the XV International Tchaikovsky Competition, Pablo Ferrandez is praised by his authenticity and hailed by the critics as “one of the top cellists” (Remy Louis, Diapason Magazine). He has appeared as a soloist with the Mariinsky Orchestra, Vienna Symphony Orchestra, St. Petersburg Philharmonic, Stuttgart Philharmonic, Kremerata Baltica, Helsinki Philharmonic, Tapiola Sinfonietta, Spanish National Orchestra, RTVE Orchestra, Maggio Musicale Fiorentino, and collaborated with such artists as Zubin Mehta, Valery Gergiev, Yuri Temirkanov, Adam Fischer, Heinrich Schiff, Dennis Russell Davies, John Storgards, Gidon Kremer, Ivry Gitlis and Anne-Sophie Mutter. Highlights of the 2016/17 season include his debut with BBC Philharmonic under Juanjo Mena, his debut at the Berliner Philharmonie with the Deutsches Symphonie-Orchester Berlin, his collaboration with Christoph Eschenbach playing Schumann’s cello concerto with the HR-Sinfonieorchester and with the Spanish National Symphony, the return to Maggio Musicale Fiorentino under Zubin Mehta, recitals at the Mariinsky Theater and Schloss-Elmau, a European tour with Kremerata Baltica, appearances at the Verbier Festival, Jerusalem International Chamber Music Festival, Intonations Festival and Trans-Siberian Arts Festival, his debuts with Orchestra Sinfonica Nazionale RAI, Barcelona Symphony Orchestra, Munich Symphony, Estonian National Symphony, Taipei Symphony Orchestra, Queensland Symphony Orchestra, and the performance of Brahms’ double concerto with Anne-Sophie Mutter and the London Philharmonic Orchestra. Mr. Ferrandez plays the Stradivarius “Lord Aylesford” (1696) thanks to the Nippon Music Foundation. Elgin Symphony Orchestra Music Director, Andrew Grams, conducts a refreshing Beethoven & Haydn program. The concert features star cellist and finalist of the XV International Tchaikovsky Competition, Pablo Ferrandez-Castro in Haydn’s Cello Concerto in C Major. Student & Veteran discounts available. $5 Student Rush tickets with valid ID, are available at the box office the night of the concert. For tickets, visit www.kalamazoosymphony.com, call the KSO Box Office at (269) 349-7759 or call Miller Auditorium Ticket Office at (269) 387-2300. Visit www.kalamazoosymphony.com for up-to-date information, details and schedules. Prices, artists, dates, time and program are subject to change without notice. The Kalamazoo Symphony Orchestra receives major support from the Irving S. Gilmore Foundation, the Kalamazoo Community Foundation, the National Endowment for the Arts, and the Michigan Council for Arts and Cultural Affairs. The Kalamazoo Symphony Orchestra also receives generous support from other local, state and national foundations, as well as private and corporate support. For more information, visit www.kalamazoosymphony.com. 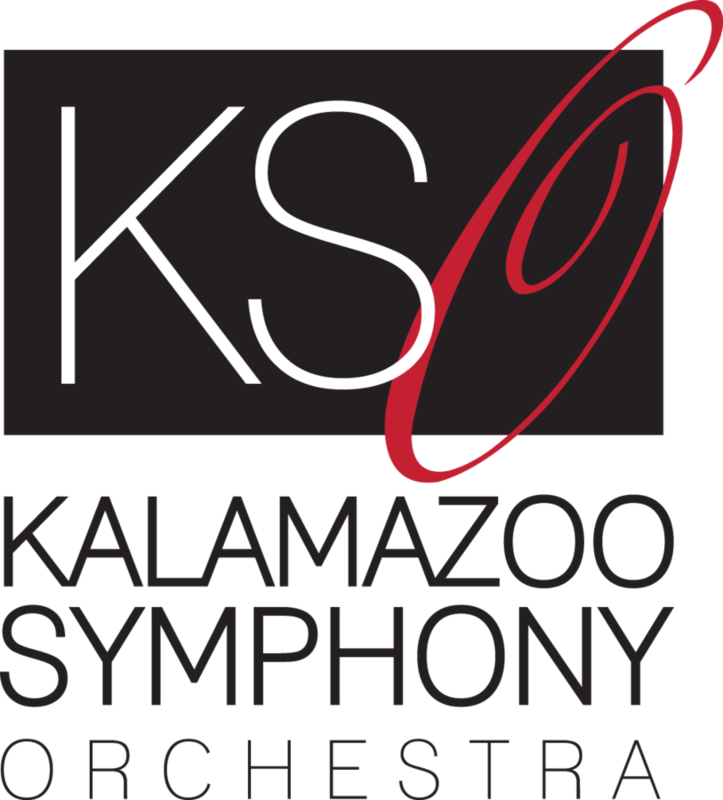 Founded in 1921, the Kalamazoo Symphony Orchestra is Southwest Michigan’s premier musical organization, providing musical enrichment to over 80,000 adults and youth per year. The third-largest professional orchestra in the state, the KSO has won numerous awards and grants, including the Met Life Award for Arts Access in Underserved Communities, the National Endowment for the Arts for its extensive education programs, and a major Ford Foundation grant to found its innovative Artist-in-Residence program.